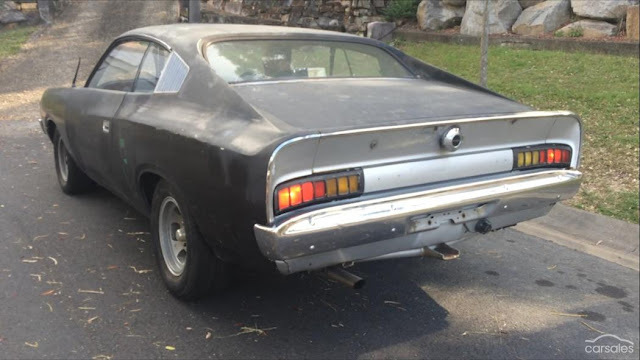 While American muscle cars might’ve been maimed by the 1973 Oil Crisis, and left to degrade into flabby coupes (the Mustang II comes to mind) Australian muscle cars had a much more natural death, slowly ceding to Japanese coupes by the early 80s. The Valiant Charger was a police favourite, often used as highway patrol cars. 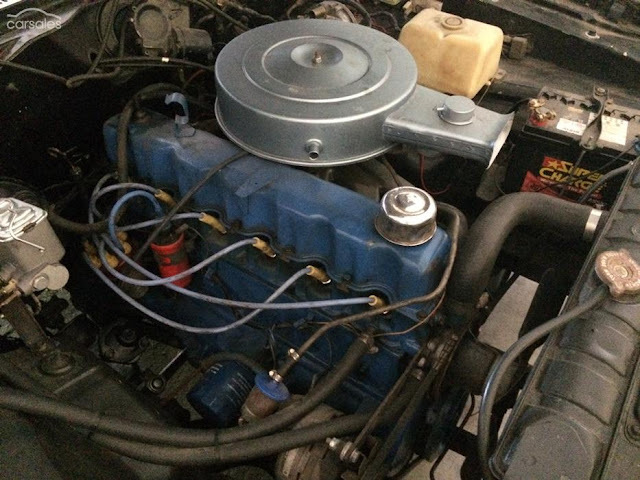 Although most were fitted with six cylinder hemi engines (as this example is) they were able to keep up with the heavier Ford and Holden V8s of the time. This one has a restored motor with some mild modifications, but a body that’s seen far better days. 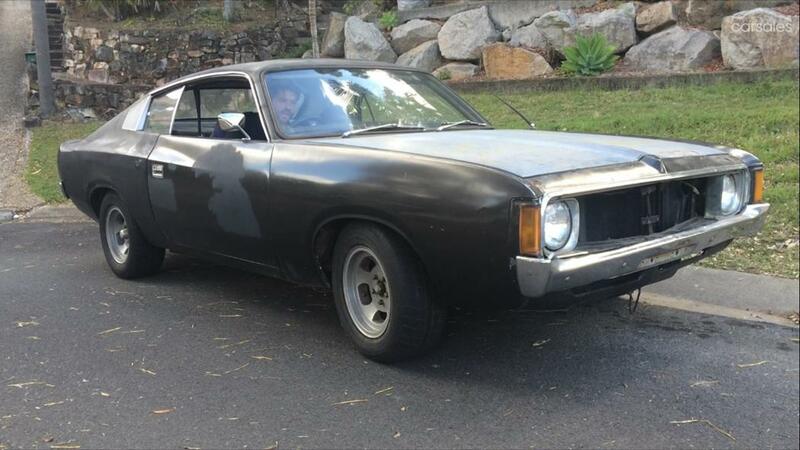 Find this 1975 Chrysler Valiant Charger in Rochedale South, QLD, Australia for $15,500 AUD ($11,790 USD at the time of writing) via carsales.com.au. The 4.3L I6 was unique to Chrysler Australia, and developed from an abandoned American Chrysler prototype to replace the venerable Slant-6. In stock form, it produced 200hp, enough to easily shame any American competition, had there been any. The three speed auto and other drivetrain parts sound to have been sorted too. This engine has just been rebuilt and modified with extractors and a mild cam. The body however, is needy. Rust is prevalent and thankfully is well documented, however it shouldn’t be terminal. A-pillar rust has been repaired, and there’s filler in the roof, and hopefully the boot (trunk) floor hasn’t rusted out too badly. We suspect the engine was probably in a similar state of disrepair to the body and the seller has run out of time, patience, money or a combination of the three. Seat covers look like pants stretched over cellulose, and could potentially be hiding worn seats. Missing door cards are in the boot, along with other spares, and the gauges are all present and wired up. Speakers in the rear are less than ideal, and the sunroof doesn’t look factory, these things could be rectified later, and so long as the sunroof doesn’t leak, aren’t major issues. This is a very promising drivable restoration that only needs body work now, with all the hard yards completed on the drivetrain. Once complete, it would make a great muscle car, and a real head turner in the States. Michael B is a teenager who's been obsessed with cars since he was able to talk, but has no ability in mechanics whatsoever. 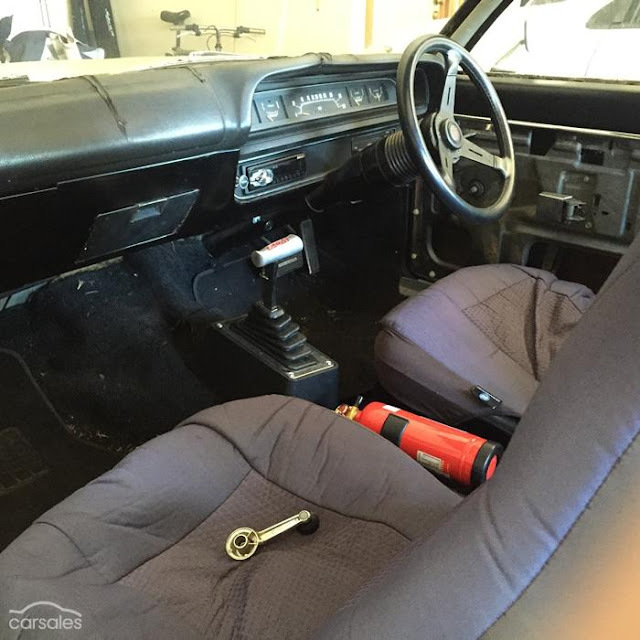 His daily driver is a manual transmission Nissan Maxima - the Australian Infiniti I30. The VJ Charger is so mean looking. I can't believe what the prices have done recently though! I picked up on of these when I was in Tasmania a couple years ago, brought it back to South Carolina, and drove it for a year or so. The six had tons of power and it rode and drove really nicely for being a ute. I do regret selling it. I miss my one. Mine was "Just" a 265 six, but plenty of go. The current owner is building it into an E49 six pack clone,but with all real parts.